Are you an honest and dependable person looking for a rewarding way to spend a few hours per week? Would you like to make a difference in your community? 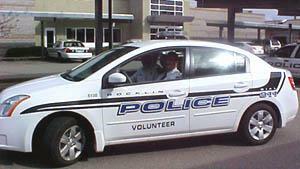 If so, you may be a great candidate for the Rocklin Police Department Volunteer Program. Volunteers provide a key role in helping the Police Department provide a high level of service to the community. There are currently more than 100 Volunteers in the program. Volunteers allow the Police Department to undertake programs and projects that were previously not feasible because of a lack of available resources and staff. Rocklin Police Department Volunteers are civilians who serve as extra “eyes, ears, and helping hands” for the Police Department. They do not engage in contacting, detaining, or arresting suspicious persons or criminals. Volunteers are not sworn police officers, have no powers of arrest beyond those of any private person, and do not carry weapons. The volunteer appointment process requires the successful completion of an application, oral interview and background investigation. After successful completion of the appointment process, volunteers will begin with an orientation. This orientation process enables newly appointed volunteers an opportunity to choose their area(s) of interest. Training is specific to each volunteer activity or program and is coordinated between each new volunteer and their assigned trainer. A Volunteer Academy is held for all new volunteers annually. The academy helps familiarize volunteers with the day-to-day operations of the Police Department as well as gives insight to the different functions within each division. The final sessions ends with a graduation ceremony where friends and family are invited. Typically the Volunteer Academy is held in the fall each year. Although the majority of our volunteers are retired, many are working full-time jobs and raising families. Since there is no requirement to live in Rocklin, some of our Volunteers reside in Roseville, Loomis, Lincoln, and other surrounding communities. 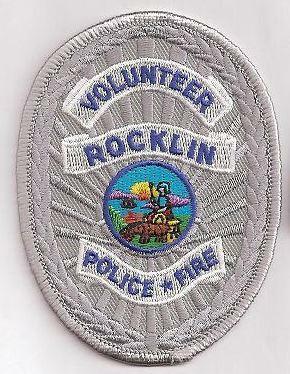 If you are interested in becoming a Rocklin Police Department Volunteer, please contact Crime Prevention Coordinator Sumer Regalia by telephone at 916.625.5416 or via email at sumer.regalia@rocklin.ca.us or Volunteer Coordinator, Wendy Smith at 916-625-5440 or via email at wendy.smith@rocklin.ca.us. Please provide your name, mailing address, email address, and telephone number. Rocklin Cares is a Community Volunteer portal that matches people in need with people that have energy and all levels of skill.